In September 2007, the Branford Community Foundation announced two new named funds established for the benefit of the Branford community. “The Linda Edsall Winward Scholarship” will fund a scholarship given annually to a Branford High School graduating senior to pursue interests in teaching, international affairs, cultural diversity or child development. “The Linda Edsall Winward and Walter Winward Fund for Music Programs in the Branford Elementary and Middle Schools” will fund some of the needs of the music programs for which funding may not otherwise be available. Both new funds were created by Richard Edsall, Linda’s brother who came to Branford recently to present checks to Eunice Lasala, President of the Branford Community Foundation. 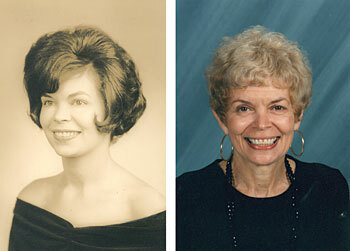 Linda Edsall Winward was a member of the class of 1960 at Branford High School. She was an outstanding student, and was the President of the Future Teachers of America club in her senior year. She earned her BA from American University and her M.Ed from Antioch College, and also taught for 3 years in Washington, DC. She went on to pursue a teaching career, throughout the world, with the Dept. of Defense School System. She taught for 19 years in Bahrain, 6 years in Germany, 4 years in Italy, and 4 years in Japan. Linda retired in 2005 and succumbed to cancer in April 2006. A great joy for Linda was attending her 45th class reunion, in August of 2005. Linda’s spouse, Walter Winward was an elementary music teacher in the DOD School System. He passed away in Japan in 2001.